In 1810 the General Assembly of Maryland authorized the erection of the nation’s first monument to George Washington. 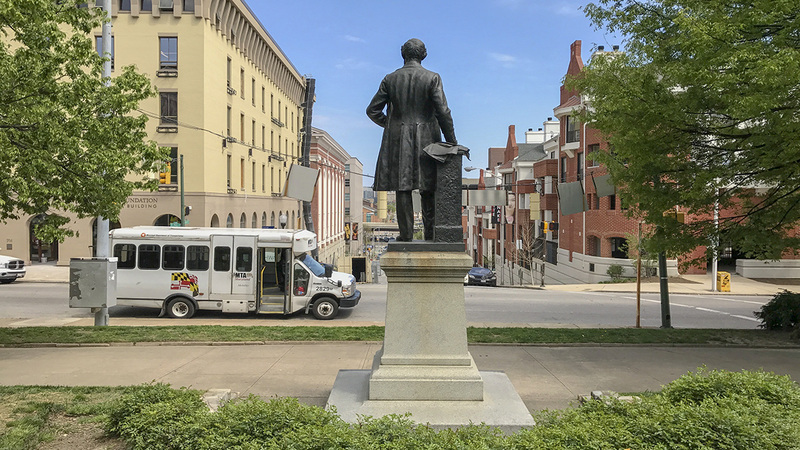 A design by architect Robert Mills was selected in 1813, and the monument was built from 1815 to 1829 on a parcel of land (donated by politician and Revolutionary War veteran John Eager Howard) axially aligned with Charles Street, north of downtown Baltimore. 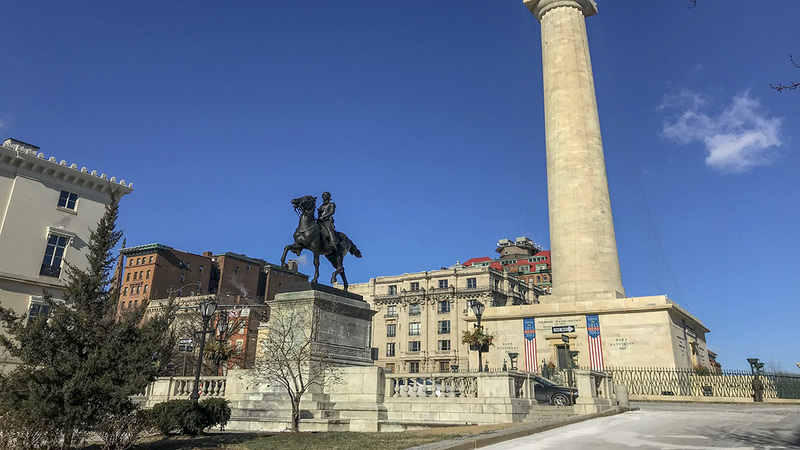 The monument comprises a 165-foot-high Doric column and capital placed on a square pedestal and capped with a fifteen-foot-high stone statue of George Washington. 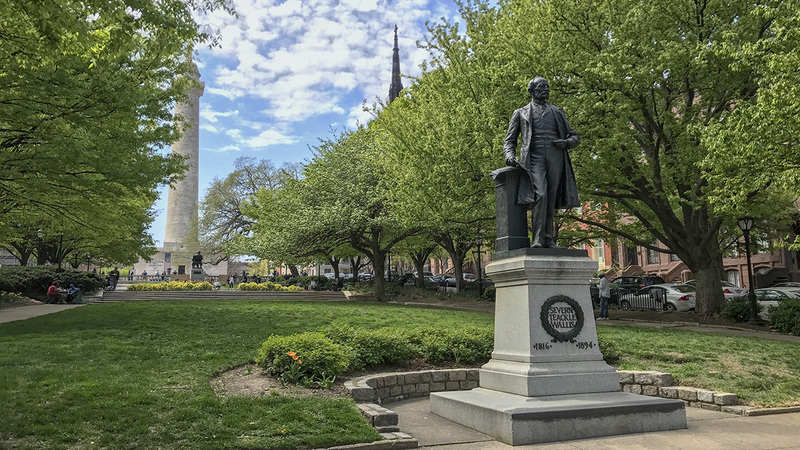 In 1831 four one-block-long, rectangular parks were laid out in a cruciform arrangement along Monument and Charles Streets, radiating out from the monument. This collection of open spaces became known as Mount Vernon Place. Originally open lawns, the squares were altered multiple times in subsequent decades. 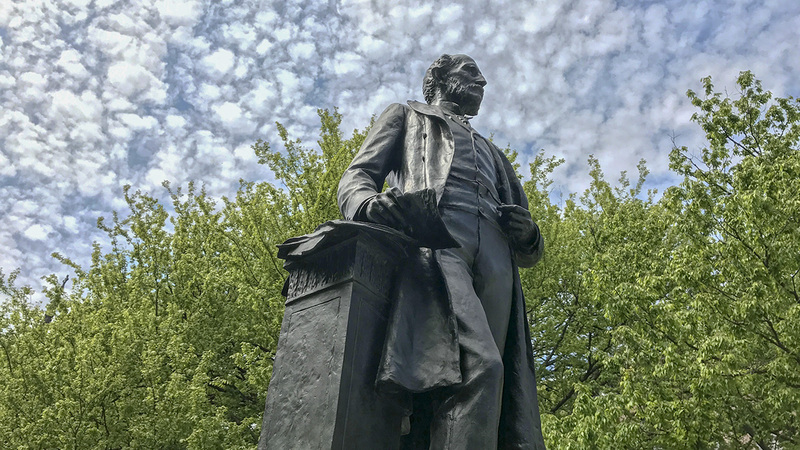 Frederick Law Olmsted, Sr., redesigned the north and south squares, removing fences and installing additional plantings. Robert Garrett and William Walters redesigned the west square in 1884, adding sculptures and a fountain. In 1916 the Beaux Arts architiects Carrère & Hastings transformed the squares into their present state, introducing fountains, stairs, and balustrades. 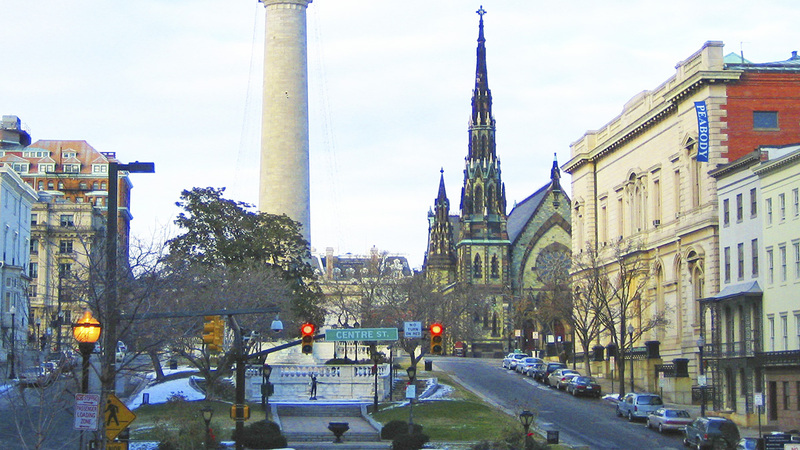 The dramatic effect of the squares and monument, coupled with Howard’s new Greek Revival home built to the northeast in 1829, helped establish Mount Vernon Place as an affluent neighborhood, which would soon attract cultural institutions to its proximity, including the Walters Art Gallery and the Peabody Library. 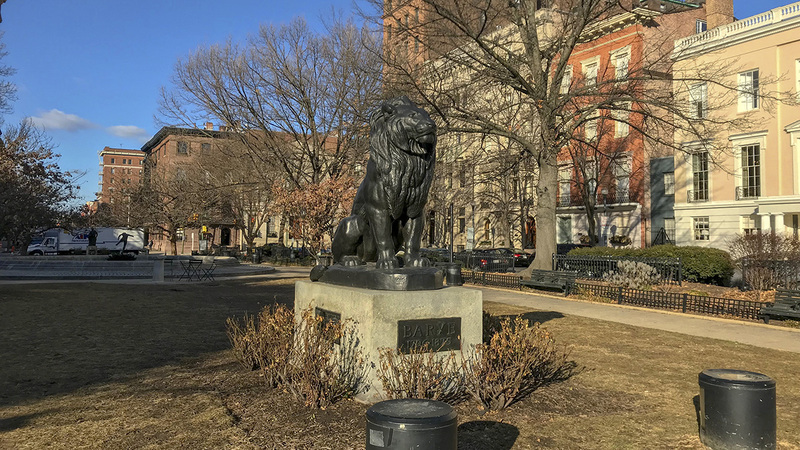 The Mount Vernon Place Historic District was listed in the National Register of Historic Places and was named a National Historic Landmark in 1971.